Does Your Company Have an Open-Door Policy? Today we have a blog post from Rosemarie Ascherl, PR Foreman at Sonnhalter, discussing factory tours and how they reflect your company’s brand image. Last month, Sonnhalter employees had the opportunity to get their hands dirty with a visit to a local manufacturer, Lincoln Electric, that designs, develops and manufactures arc welding products, robotic arc welding systems, fume extraction equipment and plasma and oxyfuel cutting equipment. We were greeted by our contact, given “VIP” badges and ushered into a comfortable lecture room where each employee’s name was on a placard alongside a packet containing Lincoln Electric information, safety glasses and headsets. After a short greeting by our host, our group was invited to snacks and beverages while watching a short video that covered a history and overview of the company and safety rules for our tour. After the video, we were turned over to our tour guide, a long-time employee, who regularly conducts tours. 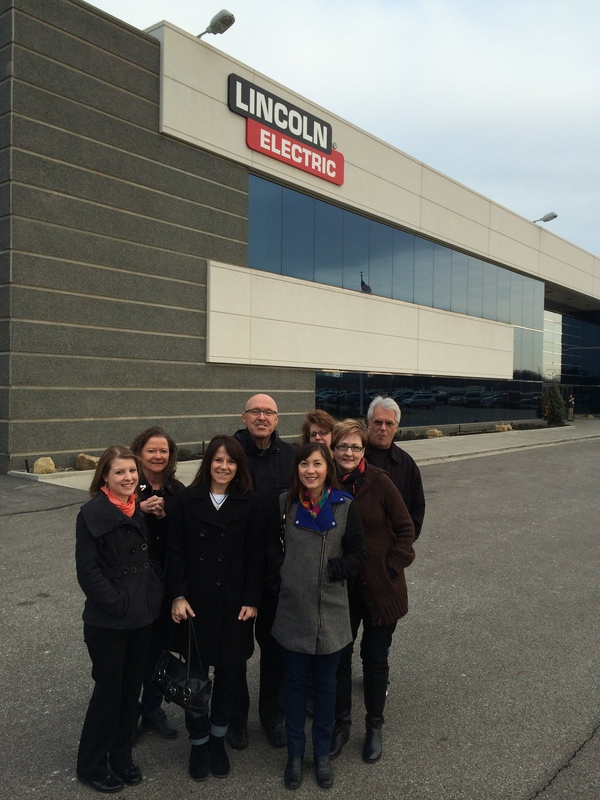 Sonnhalter’s experience at Lincoln Electric was a terrific impression reflecting professionalism, pride, friendliness and openness that ultimately mirrors the Lincoln brand. Does your company have a factory tour policy? Is it an open-door policy? Or is your company one that refuses visitors for fear of losing carefully guarded company secrets? How your company handles the requests for factory visits, whether it is by an interested community member or a potential customer, is a reflection of your brand. And once you decide to let visitors in your doors, how you handle their experience is another reflection of your brand. 1. Select knowledgeable, experienced, personable people as tour guides. 2. While tours should be flexible based on your audiences’ needs, provide consistency in the messaging that is being revealed. 3. Establish rules that management or ownership is comfortable with, i.e. no photos, no cell phones. 4. Remember safety at all times. Having a policy on factory tours is important, and how the tours are handled ultimately affects your company’s brand image. Make it positive!